I wish I could do that hire the guy whose supposed to decide how much rent I have to pay. 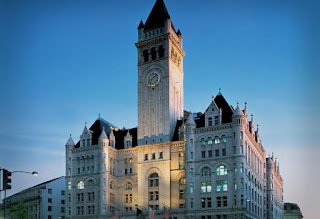 Trumps leasing from the Federal Government of a hotel in Washington DC will let him do just that. You think he will get a good deal on his rent? They already have asked that the value of the hotel be lowered so they will have to pay less in taxes. Ain't it all just grand.